Samsung this week announced that its 8LPP fabrication process, which it formally introduced earlier this year, had passed qualification tests. The manufacturing technology will be used to produce advanced SoCs next year and will be Samsung’s final leading edge process based solely on DUV lithography before the company adopts EUV for select layers with its 7LPP process node. The 8LPP fabrication technology is an evolution of Samsung’s 10 nm node that uses narrower metal pitches and promises a 10% area reduction (at the same complexity) as well as a 10% lower power consumption (at the same frequency and complexity) compared to the 10LPP process. Samsung does not disclose which standard cell libraries are used by the 8LPP, but the 10LPP relies on 8.75T and 10.5T, so it is logical to expect the 8LPP to use similar ones. Samsung does not disclose whether the 8LPP relies on quadruple patterning techniques, or if it continues to use triple patterning like the company’s 10LPE/10LPP processes, but QPT is an option to shrink die sizes at the increase in cost (and potential defects). Performance 40% 27% >10% ~10% ? ? Samsung plans to use the 8LPP manufacturing technology to produce SoCs for various applications, including smartphones, cryptocurrency and networks/servers, but does not elaborate on exact designs or clients. The only thing we do know is that Qualcomm will be one of the first customers to adopt the 8LPP and that the company expects the new technology to ramp up fast (which possibly means that it uses the same libraries and manufacturing equipment as the 10 nm nodes). 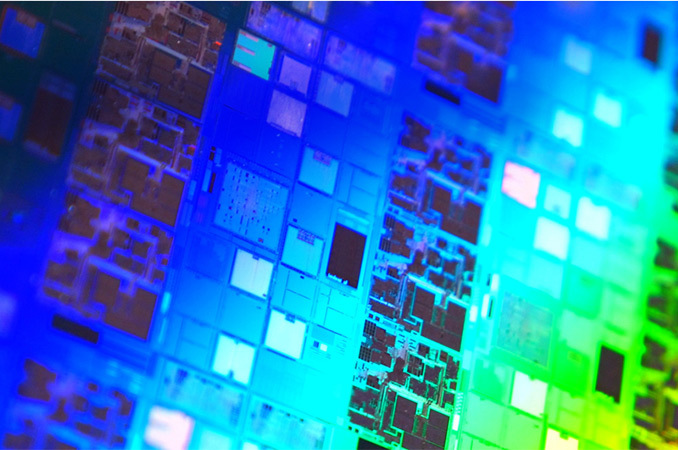 “8LPP will have a fast ramp since it uses proven 10 nm process technology while providing better performance and scalability than current 10nm-based products” said RK Chunduru, a senior vice president of Qualcomm. Neither Samsung nor Qualcomm are disclosing when they expect to ship their first 8LPP chips, but since the technology has passed qualification tests (meaning that quality and reliability of ICs made using the technology meet certain guidelines, such as those proposed by JEDEC), we would expect the SoCs to arrive in the coming quarters. >and instead use a useful metric to compare the processes. For every process since 500nm the "true node" claim has been false - check the first graph in https://www.semiwiki.com/forum/content/6895-standa... The X in an X nm process is simply a label nowadays. "TSMC and Samsung 7nm are also better than Intel 10nm"
Strange claim, there is a good consensus between analists that Intel 10nm is pretty on line with TSMC 7nm.....Samsung 7nm process is pretty unknown right now. You know what is Semiwiki (TSMC money sposorized from years, zero credibility).